Deeley Construction has hit the £25million mark on work it is undertaking across Leamington and Warwick. 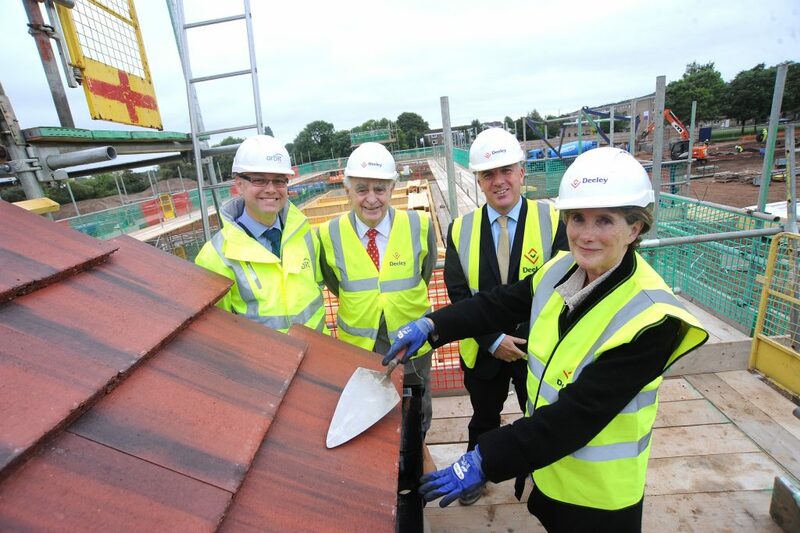 The company is currently on site at Union Park in Sydenham where 147 affordable family homes are being created on behalf of Orbit Homes and where Councillor Ann Morrison, the Mayor of Royal Leamington Spa, recently performed a topping out ceremony. Deeley Construction is also creating a new depot and engineering hub for Stagecoach at Trident Park, in Warwick, on behalf of developer AC Lloyd as part of a major redevelopment plan in the district. 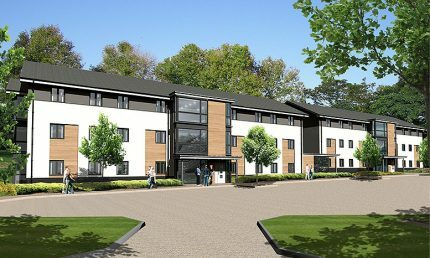 And the most recent project to get underway is new student accommodation in Leamington for the Warwickshire College Group students. The initial phase of the project will see 100 student resident units created with an option for a further 64. Martin Gallagher, managing director of Deeley Construction, said: “Over the years, the Deeley Group has helped to develop many areas of mid and south Warwickshire. “The fact that we are based just down the road in Coventry means that we see this as not only good news for business but also a great contribution to the local area. “We have a strong interest in seeing the whole region be successful so to be playing a key role in three major projects across Leamington and Warwick is something of which we are very proud. In a world which is increasingly digital, and where reality can be virtual – we are currently working on a £15 million project which has underlined the slightly older values of trust, knowledge and relationships. We finished a very nice project for Warwickshire College Group at Pershore last year, and off the back of that picked up an enquiry from the College in Leamington as it had a contract to provide training to more students and therefore provide additional student accommodation. The college was looking to a development team in the private sector to fund such a scale of operation. So we put forward a structured package of funding, designing and building of the units. 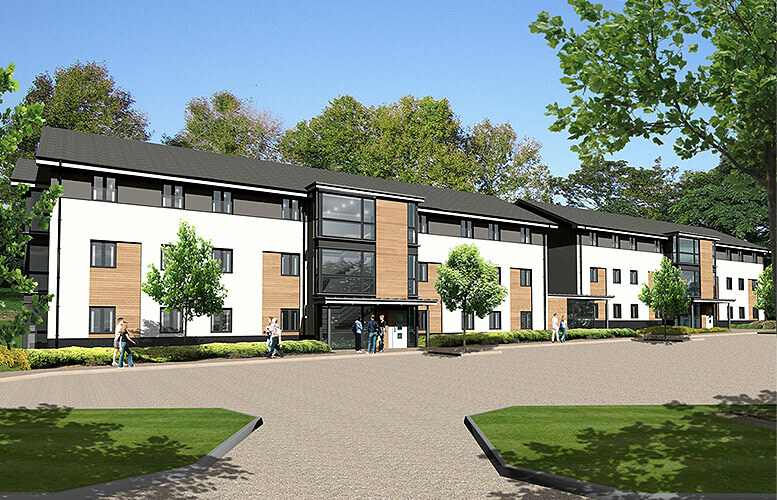 After talks with the college, the fund we introduced purchased 100 existing student units, we are building 100 now and there is an option on a final phase of 64 units. So the funder will end with an investment of 264 student units in a very good location in the centre of Leamington. The significance is that it really shows what local companies can provide when it comes to need. In short, if you have the requirement for housing there are always ways of providing funding and the ability to deliver. …..and the funder has a good investment! Our size and our experience are key. We are local enough to really know the market yet large enough to be attractive to these types of property fund investors. Part of our ability is to comprehend how much the funds have to invest in property. Knowing that and knowing the client’s needs, we agreed a formula which would be attractive to all sides. This was not a banking property proposition in this post-recession climate. The figures would not have worked with a conventional banking arrangement. Over the last decade, we have consciously developed an expertise in how funds work and how investors operate. Construction, like all other industries, has moved with the times but it is interesting that in arrangements such as this, relationships and trust in those relationships, is fundamental. Without that element, nothing would work. There are matters of confidentiality from all sides, and all parties have to have faith that the others have the ability to deliver what they are promising. The funds are out there – not necessarily with banks – but you have to find the right ways to invest it and the right people to work with. If you can do that, the results can be mutually beneficial. A new affordable family housing development in Leamington Spa has hit a high point – thanks to the town’s Mayor. 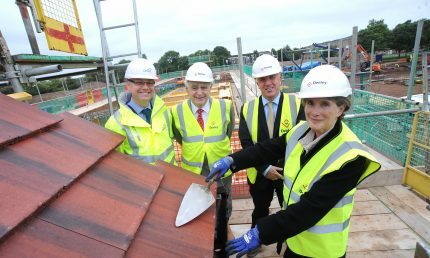 Councillor Ann Morrison, the Mayor of Royal Leamington Spa, performed a topping out ceremony with developer Orbit and Coventry-based Deeley Construction at Union Park, a £29 million development of 143 affordable family homes on the former Soans motor dealership site in Sydenham. The regeneration of the seven acre site along the Grand Union canal will offer a range of new housing options for local people, including 55 homes for sale, 39 for shared ownership (part buy, part rent) and 49 for affordable rent. Councillor Morrison said: “It is always encouraging to see the productive re-use of brownfield land and this site is an example of that, so I was delighted to play my part and will follow the development closely as it moves towards completion. “It is well documented that there is a national, regional and local shortage of housing, and we are keen to see a range of quality affordable housing in our area allowing people to get on to or move up the housing ladder. The development is due for final completion in the first half of 2018. Union Park is the second time in recent years Orbit and Deeley have worked together in the town after their successful collaboration on Queensway Court, which saw the creation of 178 independent living with care homes. Peter Deeley, of Deeley Construction, said: “Union Park is much needed in terms of the styles of property and range of tenures it offers and we are grateful to Councillor Morrison for marking this important stage in the construction process. Clayton Jones and Chris Newman, who both work for city-based Deeley Construction, have just been awarded first class degrees in Construction Management at Coventry University. 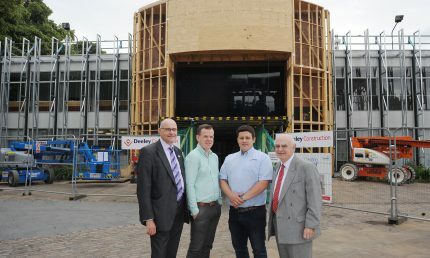 Now they are back at their former place of learning, to review the £500,000 project that Deeley Construction are undertaking to help transform the Alan Berry Building. The project, which is taking four months to complete, will transform the main entrance of the building on University Square. “Chris and I have done our training under the senior professionals at Deeley working on sites and projects while continuing our studies towards our degrees. “We heard the news that we had both got a first while the project to transform the Alan Berry Building was taking place, which was very fitting. The building had to remain open and fully functional during the project, a traffic light system was installed to tell people using the building that noisy works were planned, and an open day was held during the construction period which required strict management. Peter Deeley, of Deeley Construction, said: “While we work across the UK, we are very much a Coventry company at heart so to see two local lads train with us and then complete their degrees at Coventry University is really rewarding. “Construction needs a significant number of young people to join the industry to help with the demand to build in this country. By taking on trainees, we are able to give them hands-on experience whilst learning at college or university. “We have undertaken several projects for the university in recent years and this particular scheme will make a massive difference to the look of what many people regard as the “front door” to the university. Deeley Construction is part of the Deeley Group which celebrates its 80th anniversary this year. It is celebrating the landmark year with an 80 mile cycle ride which will raise money for the Heart of England Community Foundation which distributes funds to local community projects. ‘Working in partnership’ is one of those buzz phrases that so many businesses try to claim but so few can genuinely prove to be true. But when it comes to the Coventry based Deeley Group – a leading property development and construction firm – it’s a commitment to partnership that sees the company celebrate its 80th anniversary in 2016 in a very strong position. It is working with a range of clients and partners from across the Coventry, Warwickshire and West Midlands region as well as a host of national organisations. If you take this area alone and travel from north Warwickshire down through Coventry and into the south of the county, the evidence of the firm’s work is clear to see. At the moment, Deeley Construction is working on a major extension to the Holland & Barrett headquarters at Bermuda Park in Nuneaton – a site developed by the Deeley Group over four decades. 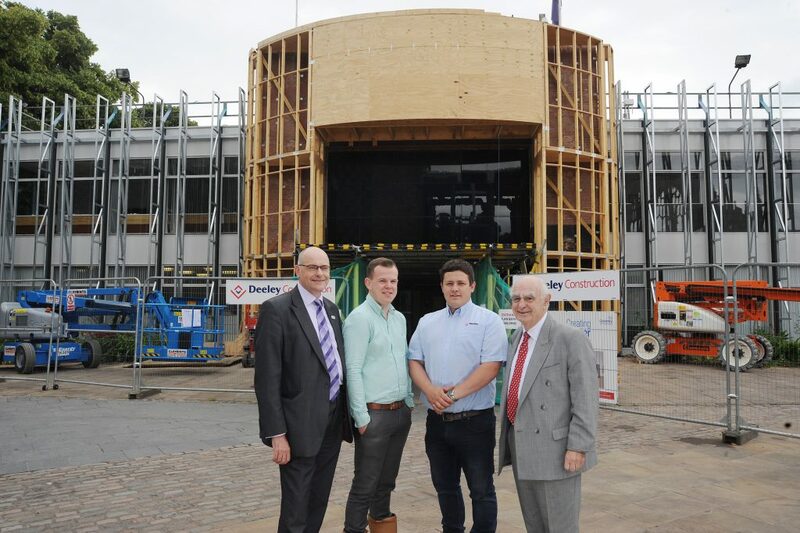 And, in Stratford, the company has recently started work on new keyworker, private-rented accommodation on behalf of Orbit in the Town Centre – a site developed in conjunction with two other companies as part of the ABD partnership. Add to that an unwavering commitment to a host of community and charitable causes including the Belgrade Theatre Trust, the Heart of England Community Foundation and the Grace Research Fund (among many others) and the positive impact that one firm – started by bricklayer George Deeley in 1936 – can clearly be seen. Peter Deeley, George’s son, is still heavily involved with the firm as managing director of the group. He said: “Developing partnerships is something that has always been important to us as a company and I believe it’s critical in today’s market. 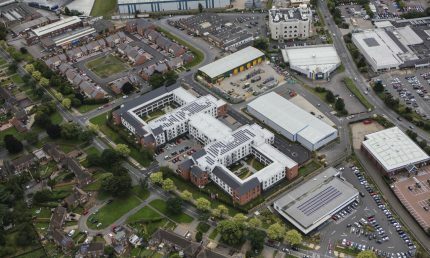 “Some of the work we are undertaking at HORIBA MIRA, with both Warwick and Coventry universities, with the likes of Orbit Homes and LondonMetric, is all about relationships and partnership. “It’s not simply about being a contractor or developer – it’s about being a part of the team that is going deliver a project. The construction team is winning repeat work with a number of clients and, again, I believe that comes down to the fact that we are seen as a partner not a contractor. “When working in this area, our local knowledge really is of benefit to the client – it cannot be underestimated how valuable that can be. We have 80 years’ experience in this region and in this sector – few can say that. The company has been held in high regard, almost from day one in 1936. GW Deeley, as it was then, won acclaim for providing the ‘best air-raid shelters’ in Coventry soon after the firm was established – a key market at the time! Then, in the 1940s, the company won a great deal of work building council houses in the Coventry and Rugby areas. The 1950s and 60s saw further expansion of the business as the company branched out into building schools and other public buildings. It developed its own HQ in Torrington Avenue, Coventry, and Peter joined the firm. The 1970s and 80s saw further expansion for the company, both through natural growth and through acquisition, with the purchase of Garlicks, the oldest Coventry building company which began trading in 1862. The firm even dipped its toes into international waters by creating a Saudi Arabian division to help with major construction projects in the wake of the oil boom in the country. It was in 1981 when the group first became involved with Bermuda Park in Nuneaton which is one of the most striking examples of regeneration across the region. Over the course of 35 years, the company has turned a former rubbish dump and open cast coal mine on the outskirts of the town into a thriving location where people, quite literally, work, rest and play. More than 1,000 new homes have been created on the site as well as jobs for more than 2,000 people and, once again, Deeley has worked with a range of partners to bring it forward – from local MPs through to the local community, for whom new sporting and social facilities have been created. In 2008, the company made a move of its own to a new, purpose-built headquarters, named George House, at the Coventry Business Park. From there, its reputation as one of the most respected, independent construction and development companies in the West Midlands has continued to flourish. 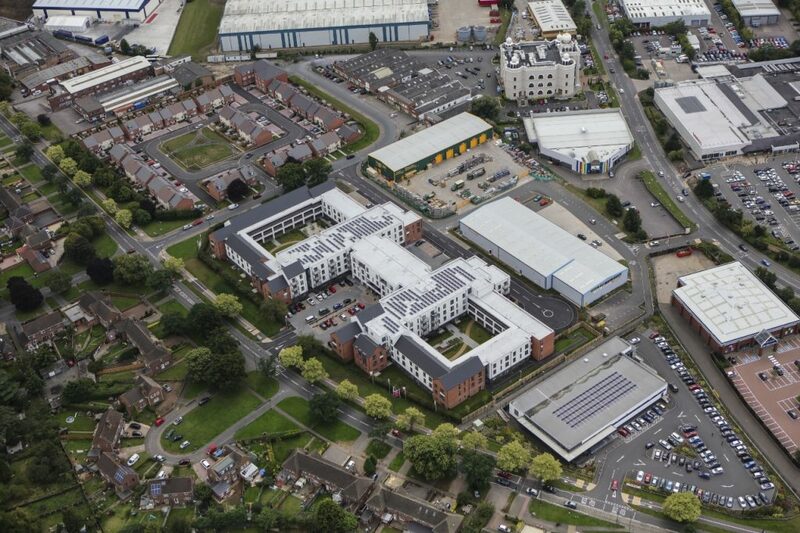 Its Queensway scheme in Leamington has, again, been an exemplar in regeneration. It saw a manufacturing company rehomed onto another Deeley site in Southam and the brownfield site was then developed into retail, employment space and new homes. Peter Deeley said: “As a company, we have always tried to be more than just a business, but a member of the community both where we are based and where we are working. “We support several charities and community initiatives across Coventry and Warwickshire because we believe that is the right thing to do. ‘The Deeley 80’ is being held in aid of grant giving organisation the Heart of England Community Foundation, based in Coventry, which gives funding to groups and organisations who make a lasting difference in their area. 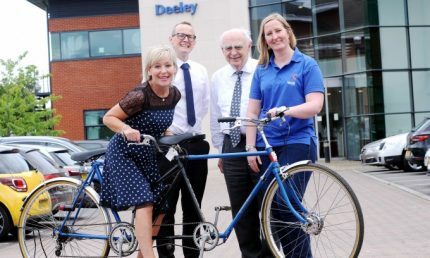 Cyclists from Deeley’s clients and partners, will travel from the Deeley head office in Coventry, through the Warwickshire countryside and then return to the city on Sunday, September 11. All of the money raised will be matched by the Deeley Group before being donated to the Foundation. 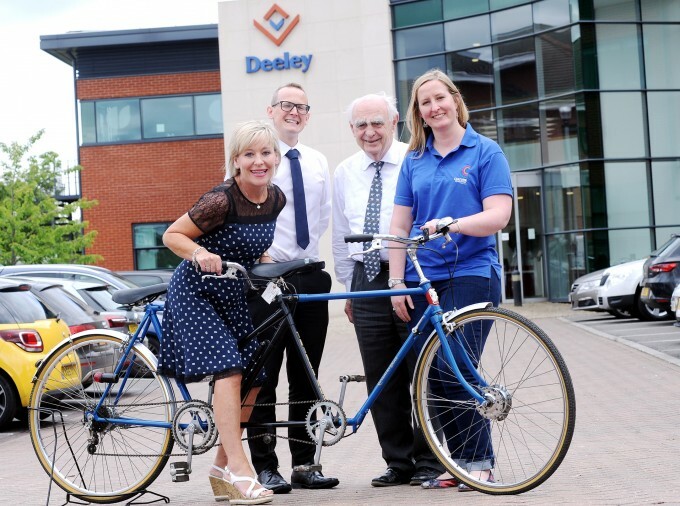 To celebrate the charity ride, the company welcomed a piece of the city’s cycling history to its headquarters – a 1936 Coventry Eagle triple ace convertible tandem – thanks to Coventry Transport Museum and its curator of cycles and transport objects Megan Nass. The 80-year-old bicycle, built the very same year the Deeley Group was founded, is one of only six ever made and one of just three still in existence. Peter Deeley, managing director of the Deeley Group, said: “The Heart of England Community Foundation is a highly important organisation which gives community and voluntary groups the opportunity to make an impact in their local areas and we are proud to be supporting them as part of our 80th anniversary celebrations. “The foundation has supported some excellent projects and it is good to know that all of the money raised will go straight into the community where it is needed the most. The Heart of England Community Foundation manages a range of funds on behalf of companies and trusts across the area and awards the money to groups and organisations in Coventry, Warwickshire, Birmingham, Solihull and the Black Country. Tina Costello, CEO of the Heart of England Community Foundation, said: “The Deeley Group has always been a great supporter of the Foundation and we are delighted that they will be raising funds for us as part of their 80th anniversary celebrations.